Have you ever tried to play a YouTube video, only to have it buffer for longer than it would have taken to play the whole video? In this article, I’ll show you a few ways to troubleshoot the problem. I can’t guarantee we’ll fix the problem, because it may be out of your control, like a slow internet connection. But at least you’ll understand the source of the problem. When you click play on a YouTube video, a lot happens beneath the surface. Google has a cool visualization of how a video gets to you. When you’re having problems watching a video, there are four main areas to look at. Let’s discuss each one and how you can see if it’s the problem. YouTube is owned by Google, and their network usually performs quite well. But since we don’t have much visibility into their network or servers, and they don’t show YouTube on their status dashboard we’re not left with many options. One trick that can be helpful (and not just for YouTube) is to search Twitter for something like #youtube slow to see if others are having problems playing YouTube videos. If you see lots of people reporting problems, it’s probably not an issue you can fix and you’ll just have to be patient. Whoever you pay for internet service is your ISP. 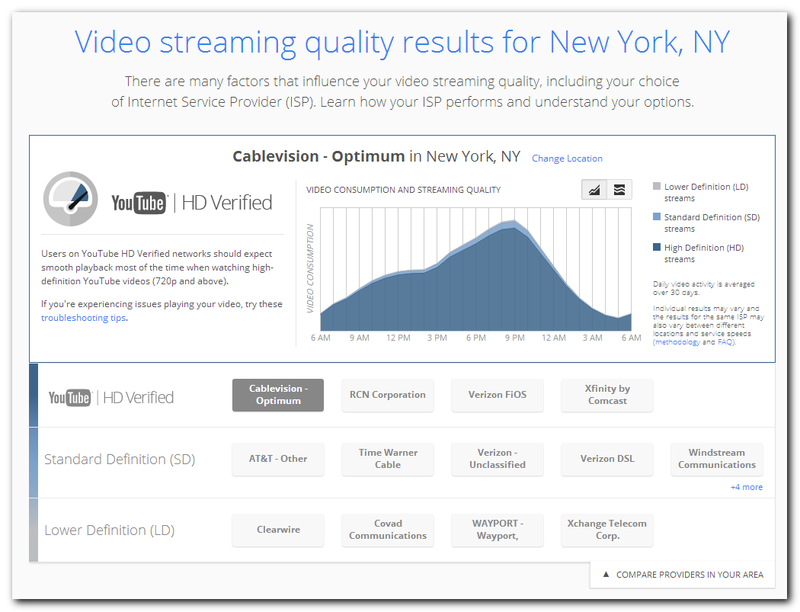 Visit Google’s Video Quality Report to see how your ISP rates for YouTube playback. If they’re not HD certified, you may have trouble watching videos in HD. You can also run a speed test to see if you’re getting the speeds your paying for. I pay for 90 Mb/s download and 10 Mb/s upload, which is about what I’m getting. YouTube recommends a minimum speed of 1 Mb/s download for videos. Choose lower video quality settings (such as 240p and 360p) from the gear icon in the bottom right side of the video player. Start the video and then click the Pause button immediately. Wait for the gray video progress bar to load a bit before clicking Play. Change your video player settings to not default to the highest quality stream. Try watching a shorter video; the shorter the video, the less time it takes to load. Your network is made up of the router, maybe a cable modem and the wires or wireless signal to your devices. If you’re having problems playing videos, it might help to restart your router (and cable modem if you have one). If you just have a router, turn it off by pulling the power plug, wait for a minute or two, then plug it back in. If you have a cable modem too, turn both devices off, then turn on the cable modem and wait until the lights show it’s fully connected. If you can’t tell, just wait a few minutes, then turn on your router. You might also consider updating your router’s firmware. That’s beyond the scope of this article, but you can search on your router vendor’s web site for firmware updates and instructions. Lastly, if possible, try using a hardwired connection to your devices instead of using a wireless network connection. Wireless is convenient, but not as fast or reliable. The more you have going on, the harder your computer has to work. Try closing other windows by using the red X on the top right of the window. Minimizing them to the taskbar won’t help. You can also close other tabs. If you want to save your other tabs to look at later, you can use the OneTab extension to be restored later. Make sure you’re running the latest version by going to whatbrowser.org. It will tell you if there’s an update available. Updates are good not just for performance improvements and support for the latest web technologies, but for security updates too. Web browsers can get a little memory hungry after running for a while. In addition to closing other tabs, try restarting your browser to release all the memory and start over. If you’re using Google Chrome as your web browser, you’re in luck. They package Flash updates with browser updates, so you should be using the latest version. If you’re using another web browser, go to the Adobe Flash Player site to see if you have the latest version. If not, download the latest updates from Adobe’s flash update page. As a last resort, try restarting your computer. Rebooting has become a running joke and it’s not a cure-all, but it can help sometimes.